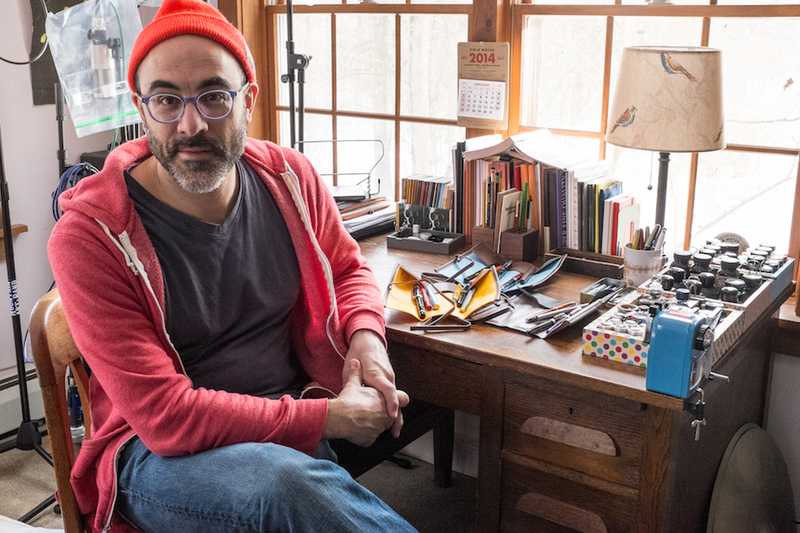 J. Robert Lennon writes wonderful books and has been writing his latest one using fountain pens. He is totally responsible for me buying a Roterfaden Taschenbegleiter and has helped me to embrace inks that are pink. I’m sure you’ll find this interview as fascinating as I did. What started your interest in fountain pens? My grandparents got me a Montblanc 144 for high school graduation in the late eighties. I used it on and off through college, then met my wife in grad school, and she reminded me that I liked fountain pens; we both wrote with them a lot in those days. Then I went off them for years, until about a year and a half ago, when a student bought me a Lamy Safari. I looked it up online to remind myself how to use it, and found Brad Dowdy. Whoops. You’ve been writing a book by hand. How did this change your approach and has it resulted in a different kind of book? It is indeed a different kind of book, but I don’t know how attributable that is to its means of composition. Somewhat, I think. It’s got some strange narrative devices in it, and some uncharacteristic (for me) leaps of faith and logic. Perhaps the handwriting made me feel freer to innovate—a handwritten thing doesn’t feel “done” the way a nicely typeset text editor page does. The handwriting has opened me up to writing in public more, though, so I’ve enjoyed patronizing a great number of bars and coffee shops this past year. Why did you choose to use pen and paper for that particular project and is it something you’re going to continue to do? I only wrote it with pens because I had gotten into pens and wanted to use them every day! I’m revising it on the computer now, sadly, so I am missing my pens a little…that’s why I’ve got them all out on the desk, as you can see in the photos…I’m cleaning them out, reorganizing them. 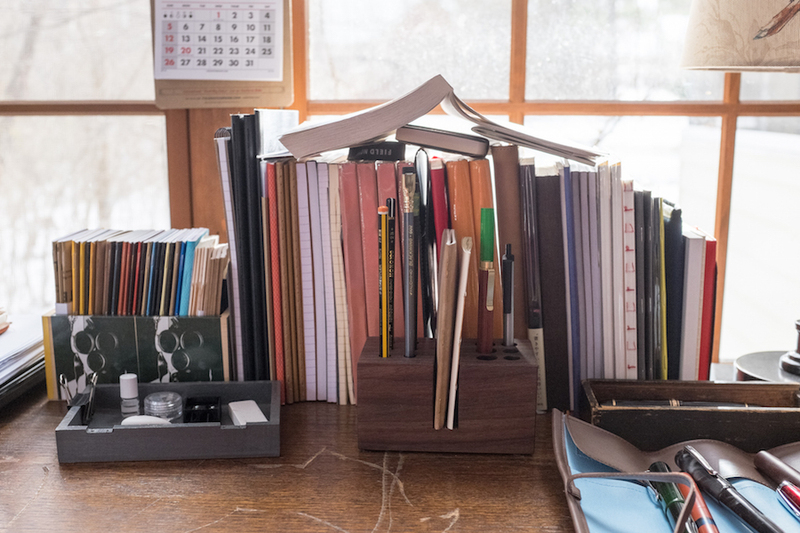 How does pen and paper fit into your day job? I take a lot of notes in class (I teach at a college), to remember who has spoken and what they said, and who is waiting to speak. I doodle in meetings, too. I usually use a Retro 51 Tornado for this. What are your favourite pens? Do you have any that have been disappointments? You know what, that Lamy Safari just did not work for me. The nib was scratchy and the grip isn’t so pleasant for a lefty. My favorite pens this year have been a couple of Franklin-Christophs, a Pilot Custom Heritage 92, a clipless TWSBI Micarta, the Karas Kustoms Ink, and an Edison Pearlette I ordered from Brian when I got some unexpected royalties from a book. I’ve discovered that a 0.6mm or 0.7mm cursive italic is my favorite nib. Which inks do you keep going back to? Pilot Iroshizuku! I do a lot of editing with Momiji and am rather fond of Kosumosu—the pink one. I like the J. Herbin inks too—they do light colors very well. I also love the blue anniversary one—you know, in the cube-shaped bottle. Diamine Oxblood is another favorite—I think I heard about that one from your site, actually. Herbin also makes these neat little canisters of international cartridges in odd colors; I’ve been sticking those in my Kaweco Sports when I’m out walking or traveling. What is your grail pen? It was an Edison for a long time, but I bought one! I have to admit, I want one of those Nakaya “Negoro” pens, the ones with the cracks in the lacquer. Brad scored one off the FPN classifieds—it’s really beautiful. But it’s hard to see myself spending that kind of dough. What is the question you wish someone would ask you about pens and what is your answer? I get embarrassed when people notice my pens! I dunno, it’s kind of a private pleasure, I guess—I dislike status symbols and know that some people think of fountain pens that way—as a fancy thing, like a gold watch or sports car. But if anyone does notice, I like when they ask to give the pen a try. It’s really fun writing with a fountain pen—and fun to watch a friend get interested. 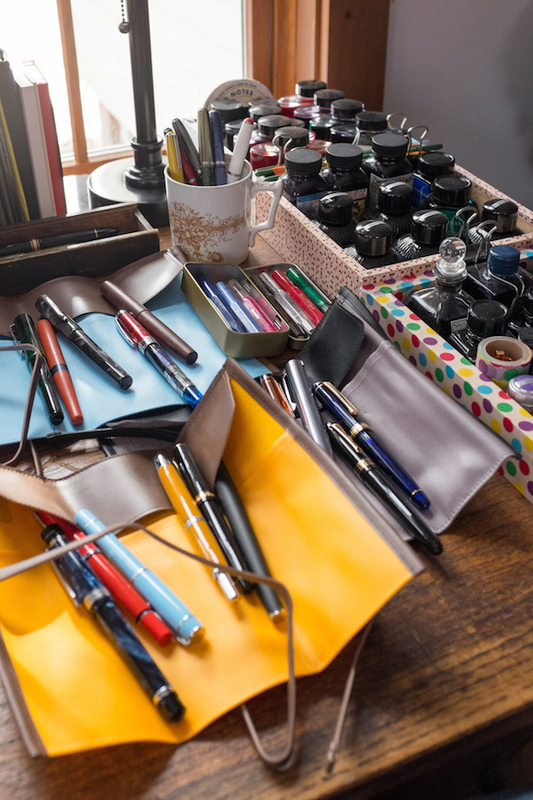 People are surprised to learn that there’s an egalitarian streak to the fountain pen world these days—there are plenty of inexpensive yet really nice pens. Giving somebody a TWSBI or Pilot Prera as a gift is great—they’re well-designed enough to be special, but in no way extravagant. Finally, should I buy a Roterfaden Taschenbegleiter and are you able to spell it without looking it up? You’ve got one by now, right? Ha! Yeah, I can spell and pronounce it, I took German in school. The Taschenbegleiter is a great travel companion, and it’s beautifully designed and made. 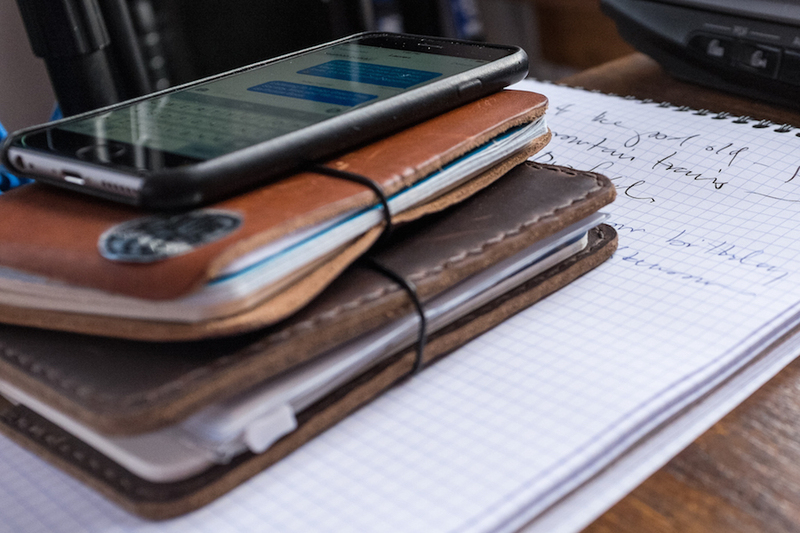 I also recommend the much more affordable Davis Leatherworks Field-Notes-sized Midori-style notebook covers (pictured)—you can fit Midori Passport accessories in them, and they’re handmade here in the US, a nice bonus if you live here and want to support a small business. If you want more from John, you can check out his appearance on the Pen Addict podcast, his Tumblr and his podcast. You should also buy some of his books. Thank you so much John for taking the time to answer these questions.